When you’re searching for the right online survey tool, there are hundreds of free online survey tools you can choose from. It can become dizzying trying to figure out which of these tools really has the best survey software — let alone try and figure out which of them can do exactly what you need to do for free. Setting up an effective online survey does not have to be expensive or complicated. In fact, if your goals are modest, it can cost you only your time. Many businesses do not need the elaborate precision required for formal surveys. It is enough to ask a chosen group of customers what they think about a product or service. Online surveys are a great option for business owners who would like to conduct their own research, and online questionnaire tools make it possible for these business owners to perform market research at a fraction of the usual cost. 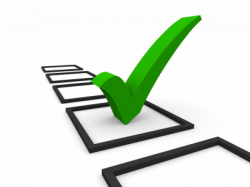 There are many advantages of using online surveys. First of all, they are faster. The time span needed to complete an online survey project is on average two-thirds shorter than that of a traditional research method. Because the information is being gathered automatically, you don’t have to wait for paper questionnaires to come back to you. The response rate is almost instant. Online marketing experts say that more than half the responses are in within the first three days of the research project. Online surveys are cheaper. Using online questionnaires can halve your research costs. Your business can save money on postage, and you don’t have to allocate part of your staff to enter the information into a database. The responses are processed automatically, and the results are accessible at any time. Online surveys are more accurate. There is a smaller margin of error because participants enter their responses directly into the system. Traditional methods rely on the attentiveness of staff to enter all details correctly, and naturally human error can creep in whenever a person has to perform a repetitive task. Online surveys are quick to analyze. Many survey software tools provide real time reporting. The results of the online survey are ready to be analyzed at any time. The data can be presented in graphs or tables, and most online survey tools also offer cross tabulation analysis tools to create contingency tables. Online surveys are more flexible. The order of the questions in an online survey can be changed, or questions can be skipped altogether, depending on the answer to a previous question. This way, a survey can be tailored to each participant as he or she proceeds. To sum up, online questionnaire or surveys are less time consuming, they are cheaper, you get the results faster, and you can transfer and use the data in other business applications. The results of the survey can be used to answer important questions about your business.